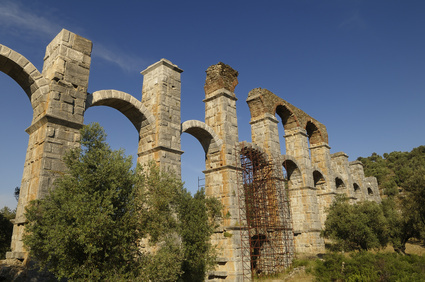 Near the village of Lampou Myloi are the remains of the Aqueduct, a work of superior technical mastery that was built in the 3rd century BC. The Aqueduct ran from Agiassos to Mytilene. Its arcade, stone blocks, piers, abaci and arches that comprised it were made from grey Lesbian marble. In its entirety it resembled the propylaia of a classical temple or palace. It began at the foot of Mt Olympos at Tsingos and traversed 26 kilometers, supplying water to Mytilene by a succession of underground ceramic culverts, channels carved in the cliff-face, and arches. The incline running the entire distance was designed in such a way that the water flowed in unhindered abundance. 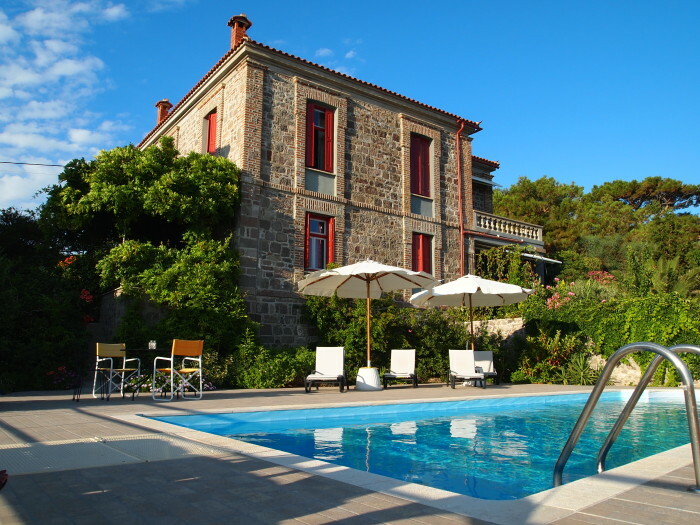 It was channeled from the Mytilene cistern to the city’s fountains, spas and estates. Sections of the Aquaduct (17 arches, 170 meters long) are visible near the village of Moria. The fish tavernas here are especially favored by the locals. Octopus hang in the sun, little boats sway in the picturesque harbor lined with interesting stone factory buildings, and honeysuckle and jasmine perfume the well-tended gardens. This is one of the island’s most scenic harbors, with many tavernas and cafés right on the embankment.